The sleepy town of Kotagiri is nestled in the serene and breathtakingly stunning hills of the Nilgiris. 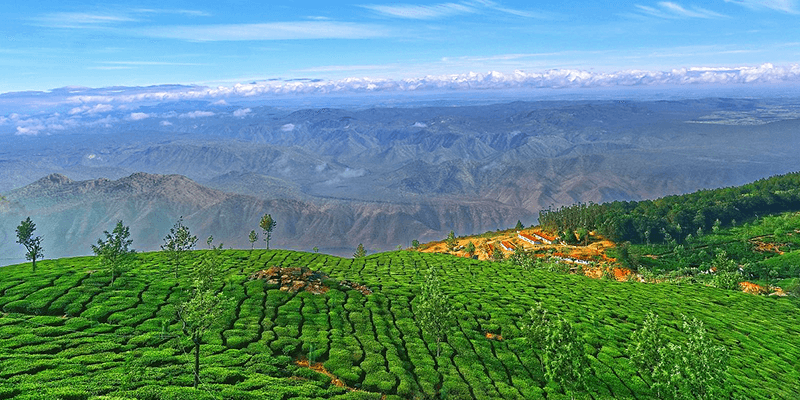 Lying in the state of Tamil Nadu, Kotagiri is a treasure trove of nature and decorated by dense green forests, beautiful tea plantations, cotton clouds and fresh breeze. Unlike the other popular hill stations in Tamil Nadu, Kotagiri is still an unexplored beauty. Apart from its tea settlement, the town is also known for its delicious local cuisine which is a perfect mixture of the spicy, finger-licking Chettinad recipes along with the freshly-baked English tea cakes! 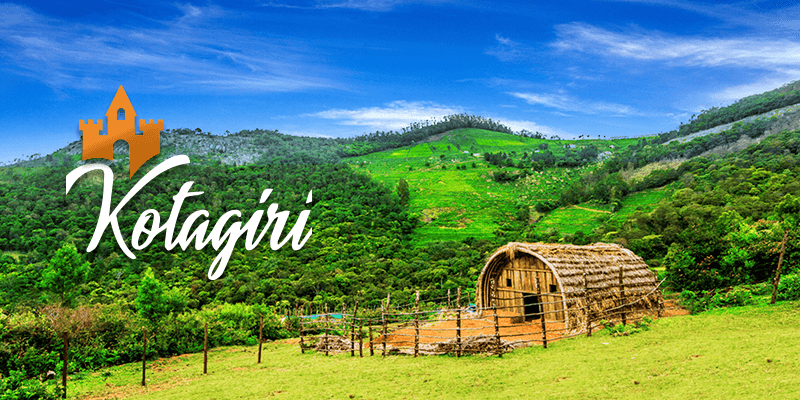 Though Kotagiri is still not as well-known as other hill stations in the Nilgiris (such as Coonoor and Ooty), yet this town has every potential to become one of the best tourist places in Tamil Nadu in the future years. It is charmingly beautiful, less crowded and enchantingly peaceful – and these are some of the facets that make a trip to Kotagiri such a great experience. Coming to the unique name of Kotagiri, it literally means “lines of houses of the Kotas”. During the Raj days, high ranking British officials posted in Chennai would have their own lavish houses at Kotagiri. Apart from the Kotagiri resorts and hotels that have been built in the recent years, the town is also decorated with many colonial era buildings with their own charming design. The best way to reach Kotagiri is to catch a train or flight for Coimbatore and then reserve an outstation cab for the forward journey to Kotagiri (India). The journey time of two and a half hours will fleet past as you would move through some of the beautiful roads. Journey to Kotagiri, in a cab, is a great experience as you find waterfalls appear after every bend telling a tale of their own. You pass by beautiful valleys and picturesque tea plantations. This road trip is a photographer’s delight. Though there are government buses available on this route as well, but nothing can beat the cab ride experience. So, book your ride today. 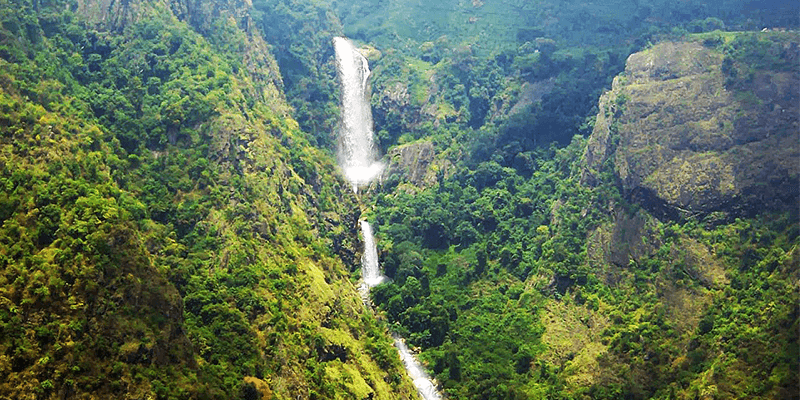 St. Catherine Falls is situated 8 KM away from the main town of Kotagiri. The drive to this waterfall, from Kotagiri, takes you through many tea estates and you can even stop by at one to take a sip at a refreshing cup of tea. St. Catherine is a double cascading waterfall, and is the highest such type in the area. The waterfall is formed by Kallar River and its beauty amplifies soon after the monsoons have passed. Situated in the midst of forests and tea plantations, the waterfall offers a scenic setting to the nature lovers. Another mention worthy thing here: as the waterfall is not among the usual Tamil Nadu destinations frequented by tourists, so it remains one of the cleanest waterfalls in the state! Tip: Trekking up to the head of the waterfall is a major activity at the waterfall. It is a 25 minutes’ walk to the top and offers a great view of the surroundings. Longwood Shola is a small forest reserve situated some 3 KM away from Kotagiri. Though Longwood Shola is small in size (just spanning across 115 hectares), yet it offers you a chance to visit a tropical rainforest in India. Unlike other forests, animal watching is not the real attraction here. It is all about the experience. Though the trees in this pristine forest are populated by many bird species, making it a great destination for the birdwatchers. If you are visiting Longwood Shola, you have to trek into this wilderness. 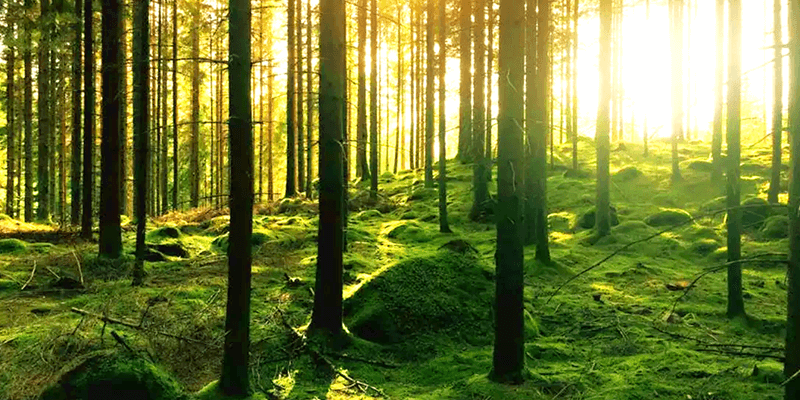 You get a chance to walk through a dense forest cover and listen to the sweet song of birds. Tip: The forest is infested with leeches and hence you need to be careful while venturing into the wild. On a sunny day, the view from Kodanad viewpoint will win your hearts! The tea estate near this viewpoint was owned by the former chief minister of Tamil Nadu, J. Jayalalitha. The viewpoint is flanked by tea plantations on one side and the several picturesque waterfalls on the other. The road leading to this viewpoint has various posters of Jayalalitha and leads you to the huge bungalow owned by this renowned lady. The Bungalow on the hills is believed to have 110 rooms! To help tourists have a great viewing experience, there are two decks placed on the Kodanad viewpoint. It is a great place to enjoy sunrise or sunset while in Kotagiri. Tip: There are small shops where tourists can purchase nuts and other dry fruits grown in the area. As mentioned before, Kotagiri is a great place to enjoy the local Chettinad cuisine. And if you want to taste the best, head to Johnston Circle situated in the middle of Kotagiri town. Apart from many restaurants serving the authentic local food, there are also many cake shops and bakeries in Johnston Circle. The bakeries here are filled with a never-ending array of fresh jam cakes, cupcakes and pineapple rolls. 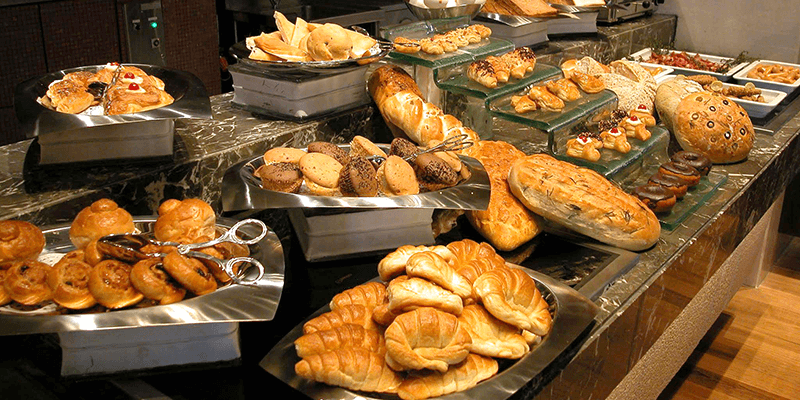 Many tourists make it a point to carry back some of the bakery items for their near and dear ones back home. Tip: The bakeries mostly stay open between 10 AM and 8 PM. Costs: The cakes you see here are affordably priced and range between INR 100-150 per kilogram. 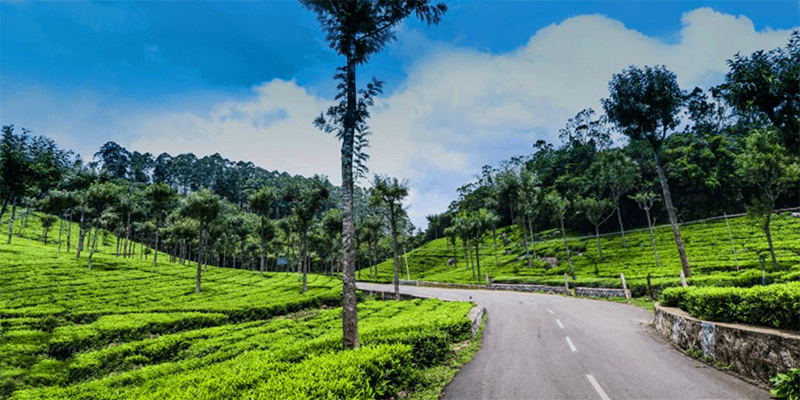 Kotagiri, for sure, is one of Tamil Nadu destinations that satiates the wanderlust of any nature loving tourists with its picturesque landscape. So, when are you visiting Kotagiri for a memorable holiday? Do care to book train tickets and hotels from RailYatri. Previous article10 Best Kept Secrets of North Kerala! Thanks for sharing all these great tips! It is good to know where to go for a relaxing holiday experience. Great blog. Thanks for sharing this interesting piece of information. Will try book a trip to this place soon. Seems beautiful. Very well written.Will keep waiting for more post like this. Appears to be a nice place to visit, after rainy season in particular. However, I would like to know about 1) weather(woollens are required or not?) including temperature , 2) height of hill station, 3) cost of accommodation, 4) cost/rentals of cab from Coimbatore to Kotagiri.